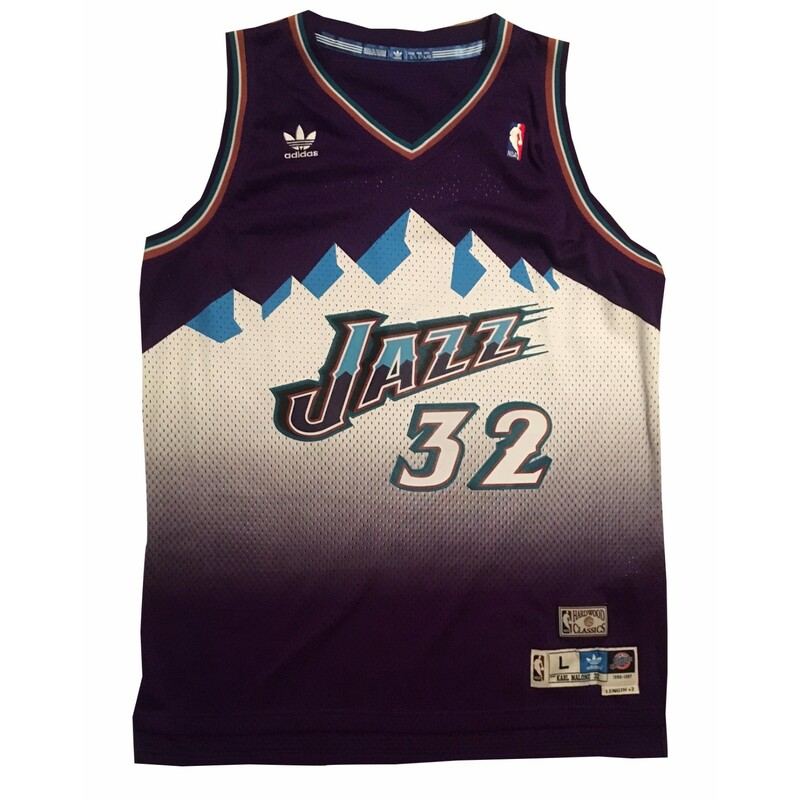 Utah Jazz Hall of Famer Karl Malone has signed this officially licensed Adidas Swingman jersey. Always a tough autograph. In 2017, Malone did his first autograph signing in almost 15 years. This is quite the rare item. Jersey is a size large, name and numbers sewn on, and comes with original tags. 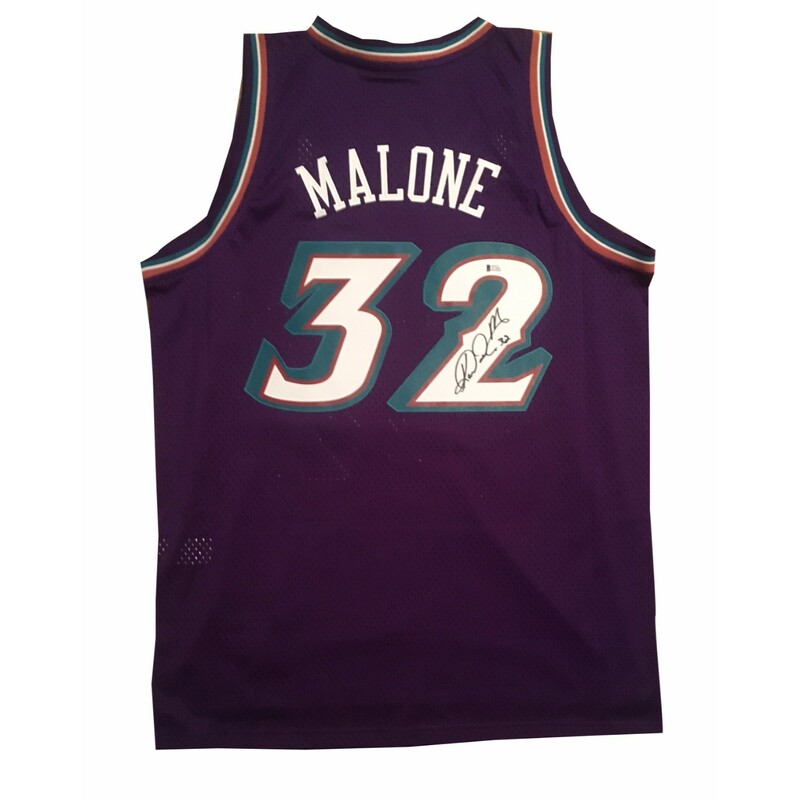 If you are looking for the REAL DEAL Malone jersey THIS is it! 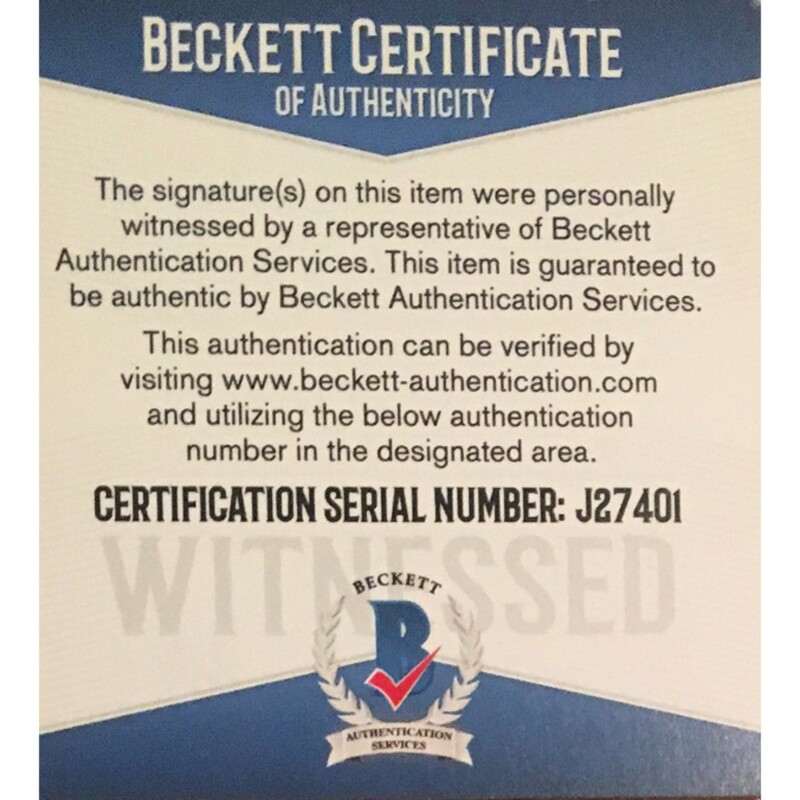 Autograph is authenticated by Beckett Authentication Services (BAS). 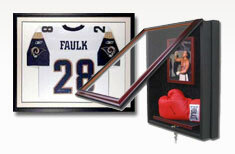 Comes with their unique # sticker on item with matching # on certificate of authenticity. Sticker # is verified on their website. It is a "witness" COA meaning a representative from Beckett was present for the signing and witnessed him signing your item. Beckett is one of the world's leaders in sports autograph authentication. 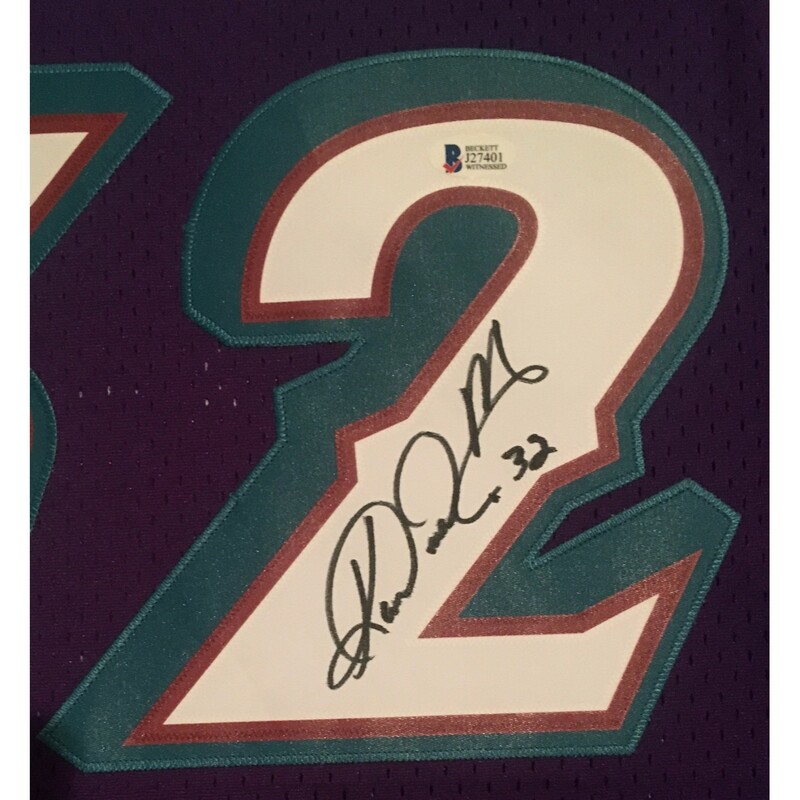 100% authentic signature and jersey.